Addressing Mealtime Challenges for Young Children and Families: How do challenges begin and how does this influence the assessment process? AOTA has identified Feeding, Eating and Swallowing as a specialty area of practice with occupational therapy identified as part of a team provides comprehensive assessment and intervention to address concerns in these areas (AOTA, 2007). Prior to the late 1960’s, American scientists thought that the brain was fixed and unchangeable. The AOTA Centennial Vision continues to bring the occupational therapy (OT) profession to new and exciting levels of practice. Have You Heard of Common Data Elements? Years ago, I was working in a clinic as a licensed OT with a bachelor’s degree. With limited research training I did not know how to select assessments for measuring the effect of my interventions. Amazon searches starting from www.flota.org benefit FOTA! 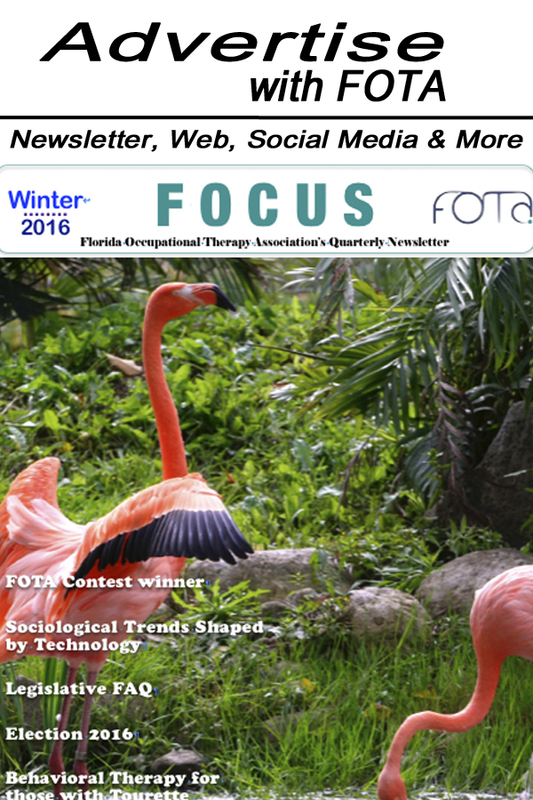 © Copyright 2017 Florida Occupational Therapy Association. All rights reserved.